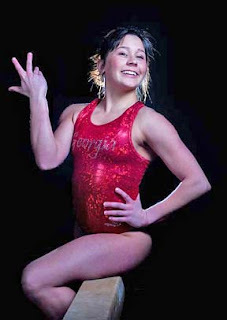 Friday’s Red and Black, the newspaper for the University of Georgia, carried a story about Grace Taylor, a member of the Grace Brethren Church of Aiken, S.C. She is a member of the University of Georgia women’s gymnastics team that recently took home the 2008 National Collegiate Athletic Association (NCAA) championships. Grace is also the 2008 NCAA balance beam champion. To read the complete story, click here. Georgia may have its answer for Tim Tebow. She represents us in every aspect of her life and how she conducts her life. “Taylor was homeschooled during her childhood in Aiken, S.C., and raised in a tight-knit, Christian family with her two sisters and brother. College has turned her into an Academic All-American with a 3.97 GPA, but it was her experiences at home and in Aiken that have made her who she is, and what she wants to be. The story also references how her parents, Dan and Lynn Taylor, found the Aiken church, which is pastored by Steve Taylor (no relation). The Taylor family stopped at a small church, and found a man tending to the yard, pulling weeds and raking. That man was Steve Taylor, the pastor of, appropriately enough, Grace Brethren Church of Aiken. His brother, Mike Taylor, is a missionary to Africa.